Make yourself at home in one of the 10 guestrooms. Complimentary wireless Internet access is available to keep you connected. Bathrooms have showers and hair dryers. Conveniences include phones and coffee/tea makers, and you can also request cribs/infant beds (complimentary). 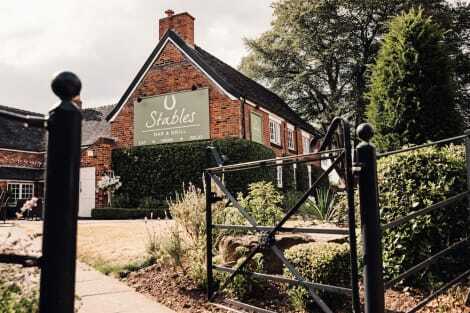 Enjoy British cuisine at Stables Bar and Grill, a restaurant which features a bar, or stay in and take advantage of the 24-hour room service. Mingle with other guests at the complimentary reception, held daily. Breakfast is available daily from 7 AM to 10 AM for a fee. lastminute.com has a fantastic range of hotels in Alsager, with everything from cheap hotels to luxurious five star accommodation available. We like to live up to our last minute name so remember you can book any one of our excellent Alsager hotels up until midnight and stay the same night.